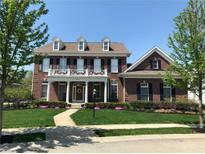 Below you can view all the homes for sale in the Grandin Hall subdivision located in Carmel Indiana. Listings in Grandin Hall are updated daily from data we receive from the Indianapolis multiple listing service. To learn more about any of these homes or to receive custom notifications when a new property is listed for sale in Grandin Hall, give us a call at 317-427-7201. Heated floors and Hydronic heating and so much more. MLS#21622916. 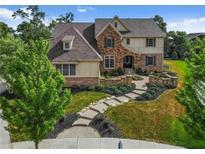 Carmel Homes Realty. Enjoy outdoor living at its finest on the covered patio in the private backyard w/aluminum fence, 4-car garage with epoxy floor & tons of storage. MLS#21623971. eXp Realty, LLC.